CBD is short for Cannabidiol, a naturally occurring chemical compound classified as a phytocannabinoid and found prominently in the hemp plant. CBD is a specific non-psychoactive cannabinoid which positively affects all biological systems in the body via the endocannabinoid system and is known to provide a host of health benefits for humans and animals. Cannabinoids are a diverse class of organic chemical compounds that are naturally produced in all manner of living things. When produced within plants they are called phytocannabinoids. When produced within humans and animals they are called endocannabinoids. Our bodies contain hundreds of these endocannabinoids, which act upon our neural cell receptors (CB1 and CB2) altering the release of neurotransmitters. CB1 receptors are located mostly in the brain and CB2 receptors are spread throughout the body. Phytocannabinoids are almost identical in physical structure to endocannabinoids, which allows them to interact with the internal system that our endocannabinoids use, the endocannabinoid eystem or ECS. Within our bodies there exists a complex network of receptors called the endocannabinoid system or ECS. This system operates throughout the body to send and receive important chemical messages for our health and for maintaining homeostasis in the body. Recent studies have shown that the ECS interacts primarily with our nervous and immune systems and is responsible for balancing and optimizing functions such as sleep, relaxation, appetite moderation, controlling inflammatory and pain responses and enhancing cognitive abilities like mood and memory. Our endocannabinoid system, under normal circumstances, is maintained by our healthy body’s natural ability to produce endocannabinoids. When there is a deficiency of endocannabinoids in the body due to aging or other impairing factors like stress, it affects how we feel and can become problematic for our optimal functioning. Supplementation with CBD is known to help offset this deficiency and restore optimal health. What is hemp and how is it different than marijuana? Although both hemp and marijuana are classified as cannabis species, their appearance, chemical composition, cultivation and applications are entirely different. Hemp is one of the world’s oldest domesticated crops and it is seeing resurgence after years of misconception banned it alongside its psychoactive relative, marijuana. Updated legislation worldwide has made industrial hemp available for use in over 25,000 possible applications including dietary supplementation, skin products, clothing, building materials and accessories. Do Vitality Health CBD products contain any THC? Vitality Health CBD full-spectrum tinctures are formulated using industrial hemp-derived CBD which is cultivated to contain less than 0.3% THC. This trace amount of THC is rendered ineffective because the predominant CBD molecules in hemp block CB1 receptors, preventing THC from triggering them. In effect, CBD actually prevents the experience of a high. Vitality Health CBD isolate tinctures and SeaCream contain 0% THC. Will I test positive on a drug test if I use your products? Employment drug tests are designed to detect impairment not supplementation so most tests are not designed to detect CBD but rather to detect THC. Because there are trace amounts of THC in most hemp-derived CBD products, the regular consumption of very high doses of CBD (over 1000mg/day) may trigger a false positive result. It is, however, extremely unlikely that even high doses of CBD products would exceed allowable limits of THC per milliliter of urine. Many employers in legal areas are now looking past a THC-positive test result due to an inability for standardized tests to determine impairment and due to increasing use because of legalization. Please check your local laws for details that apply to you. Some pre-surgical medical tests will test for CBD because it interacts with anesthesia. We recommend full disclosure of our product use to your medical professionals. If trace amounts of THC are a concern for you we recommend using our CBD isolate tincture which has 0% THC. Is CBD from hemp as potent as CBD from marijuana? Yes. Whether derived from hemp or marijuana, biological interactions of the CBD molecule in the human body are the same. CBD is CBD. The key to potency is the bioavailability of the CBD molecule, which is determined by two factors: size and potentiation. Vitality Health CBD ensures the highest possible potency by using nanotechnology to fractionate CBD crystals into nanoparticles for significantly higher bioavailability. Our full-spectrum tinctures contain additional hemp plant compounds that further enhance the uptake of CBD, including cannabinoids and terpenes that work synergistically to affect your ECS. Yes, taking CBD is proven to be completely safe and non-toxic assuming the hemp plant it is derived from is high quality and farmed with organic standards. At Vitality Health CBD we employ rigorous standards of testing to ensure that the hemp sources for our CBD are organic and do not contain pesticides, heavy metals, microbials or solvents. Yes, when accurate doses are administered based on body weight and the plant source of the CBD meets high quality standards, CBD is completely safe for children and pets. Vitality health CBD also offers tinctures specifically formulated for animals. Please refer to our dosing chart to determine the appropriate strength and dosage to administer to children and pets. No, CBD is not an addictive substance nor are there withdrawal symptoms upon ceasing to take it. CBD does not produce an excessive release of dopamine, therefore the euphoria associated with opioids or THC, or the relaxing effect of nicotine do not occur when taking CBD. CBD merely works to balance natural levels of neurotransmitters in the brain and nervous system. If there is an excess of one neurotransmitter, CBD will help to lower it, and if there is a deficiency of another, CBD will help to restore it back to an optimal level. Can I develop a tolerance to CBD? Early research suggests that developing a tolerance for CBD is an opposite phenomenon to developing a tolerance for THC, involving what is known as a reverse tolerance. With reverse tolerance, continued use of CBD results in a continually lesser dose being needed to achieve the same effects over time. THC diminishes the effectiveness of receptors in the endocannabinoid system with repeated use. Conversely, over time, CBD promotes increased activity in these receptor cells so there is no breakdown of the interaction between CBD and the endocannabinoid system and the CBD can stay continually active without diminishing its own effectiveness. Many CBD users have reported using lower doses as time goes on to sustain their desired effects, proving to be both therapeutically and financially beneficial for them. If I take too much will it hurt me? Cannabidiol is known to be non-toxic, with no known fatal overdose levels ever reported. Studies have shown that chronic use and high doses up to 1,500 mg/day of CBD are well tolerated in humans. Doses exceeding this amount may, in rare cases, result in the minor side effects mentioned above and may interfere with the efficacy of certain medications. Always consult your physician when trying a new supplement such as CBD in you health care regimen. At this time, we are not allowed to make outright claims about the benefits of our CBD products. We encourage you to do your own research and talk to your doctor first before starting any new nutritional and dietary supplement regimen. However, CBD is widely known to offer many health benefits through promoting homeostasis in the body. When systems of the body are stressed, depleted or overworked, illness, pain or disorders occur. By balancing the endocannabinoid system, CBD acts to restore optimal functioning of these systems so they can correct themselves to healthier states. Hence, CBD doesn’t heal directly rather it facilitates the body’s own sophisticated self-healing and self-regulating capacities. Why take Vitality Health CBD? Vitality Health CBD is an industry leader in CBD quality, enhancement and innovation. Not only do we ensure the highest possible standards of ingredient quality and safety through multiple levels of transparent third party testing but our patented BioPrime™ nano-formulation process ensures that you are receiving the most potent, bioavailable and effective CBD products available. BioPrime™ CBD molecules range from 50-100 nanometers in size, roughly 1000 times smaller than regular CBD crystals. BioPrime™ CBD molecules are achieved by putting CBD crystals through a patented process. In BioPrime™ form the small size of the CBD molecule make it up to 100 times more bioavailable than competing CBD products that are not nanoparticulized. This means a much higher absorption rate in the body resulting in more efficient and effective results using less product. In comparison, much of the effective ingredient in other non-nanoparticle CBD products is rendered ineffective as it is denatured in the stomach, liver or intestines before absorption can occur. What's the difference between full-spectrum CBD and CBD isolate? Full-spectrum (FSO) CBD is a whole-plant extract that contains additional beneficial compounds that naturally occur in the hemp plant including other cannabinoids, minerals, proteins, terpenes, flavenoids and healthy fatty acids that all work synergistically with CBD to affect your ECS. This is known as an “entourage effect” which is nature’s own healing formulation. Formulated from raw crude extract, full-spectrum tinctures contain the complete hemp plant profile and are therefore darker in colour and stronger in taste. CBD isolate (ISO) is the purest and most concentrated form of cannabidiol. It takes effect in the body very quickly and a lesser quantity is necessary to induce desired effects. It is ethanol extracted and further purified to remove unwanted components including traces of THC, terpenes, waxes, oils, chlorophyll and more. This leaves a 99% pure tasteless and odorless CBD powder, which is then commonly used for formulating tinctures, salves and other CBD products. At Vitality Health CBD both forms of CBD are taken through our patented BioPrime™ process which creates a slightly metallic taste due to the increased electromagnetic field of the molecules once they have been nanoparticulized. Each form is effective though, depending on your specific needs, taste preferences and bodily reactions, one form may be better suited than the other. Which Vitality Health CBD tincture is best for me? We highly recommend consulting a doctor to determine what CBD product and concentration is best for you. CBD dosage is based on preference and individual differences in the body. It is generally recommended to start with a low to moderate dose (1-2 mg twice daily is easily tolerated and effective for most people) and gradually increase the dose as you become more aware of how CBD affects your body. By observing the effects over a few days or weeks, you can determine what adjustments are necessary, increasing your dosage until you experience your desired effects. Once your symptoms are alleviated the dosage should no longer be increased as excessive doses may induce sedation and other mild side effects. Studies have also shown that there is a bell curve of dosage and efficacy proving that taking too much or too little both reduce the effects of CBD. How do I take Vitality Health CBD tinctures? Vitality Health CBD tinctures are most effective taken sublingually as they are absorbed by the mucous membrane then directly absorbed into the bloodstream without having to go through the digestive system or liver where parts of the supplement are lost. Swallowed CBD is then metabolized although digestion reduces the potency of what is left, it extends the active duration of CBD’s effects. To administer, squeeze 1 ml of tincture under the tongue and hold it there for about 60-90 seconds before swallowing to allow for most efficient absorption. Note that with Vitality Health CBD tincture bottles, squeezing and releasing the dropper-head once administers 1 ml, NOT filling the entire glass dropper. To sustain beneficial CBD levels in the bloodstream, it is recommended to take 2 doses per day 12 hours apart. For more acute symptoms you may take 3 doses per day 6 hours apart. How much CBD am I getting in each dropper? There is, however, a significant difference between how much CBD is in a dropper and how much CBD from that dropper is actually being absorbed by your body, depending on how bioavailable the CBD is. Generally you can expect to absorb at most a quarter of the CBD from non-nano CBD products. You may refer to our dosage chart to determine how much CBD you are absorbing when taking Vitality Health CBD in nano-particle form. Results from CBD manifest at different rates, depending on what symptom you are addressing and the degree of any health imbalances. Usage method, the quality and type of CBD plus your weight, metabolic rate and composition also play a role in how long it takes to get results. Because of its nanoparticle form, Vitality Health CBD taken sublingually allows for certain effects to be experienced within minutes. Ingesting the CBD tincture can provide effects in as little as 10 minutes on an empty stomach and up to an hour if taking on a full stomach. Chronic conditions may require up to 3 months for effects to be noticeable. The noticeable effects of CBD generally last for about 4 to 6 hours. CBD concentration in the bloodstream drops significantly each hour after the initial dosage and after approximately 7 hours, its overt effects wear off. However, this doesn’t mean that CBD has fully exited the body. In most cases it takes about 4-5 days for remnants and traces to be eliminated entirely. Until that point CBD will continue to work alongside the natural endocannabinoids to optimize the body’s systems. 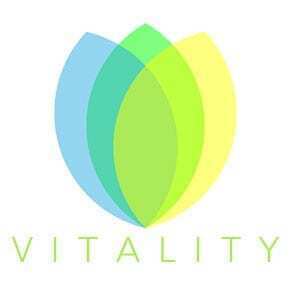 When and how should I use Vitality SeaCream? Vitality SeaCream is a topical salve formulated with nano CBD and Ocean Enhanced with single-atom sea minerals, which potentiate the effects of the CBD molecules. Skin has a significant number of endocannabinoid receptors within it. There are more CB2 receptors on your skin than anywhere else in your body, and topical preparations are able to interact with them, concentrating the effects locally. SeaCream is known to provide significant relief for site-specific skin conditions like eczema, psoriasis, rashes, hemorrhoids and acne. SeaCream is also formulated with lemongrass, which further drives its restorative elements beyond the skin to penetrate into the joints, muscles and ligaments. Applied topically, Sea Cream has shown to provide fast-acting relief against pain and inflammation cause by injury or arthritis. To use, simply emulsify the salve sparingly between your fingers until it melts slightly into an oily texture and cover the afflicted area 2 to 3 times daily. For persistent pain, reapply when necessary and take in conjunction with Vitality Health CBD tincture. How long will your product last me? For tinctures, if following standard dosage guidelines of 1 ml twice daily, a 30 ml bottle of tincture with last approximately 2 weeks. For SeaCream, we recommend using sparingly as a small amount is generally effective. The salve will last differently depending on frequency of use and the size of area(s) being treated. How should I store Vitality Health CBD products? Store tinctures and salves in a cool, dry place to prevent degradation. Tinctures may be stored in the fridge. When do Vitality Health CBD products expire? Once opened, Vitality Health CBD products have a shelf life of up to 2 years, longer if kept refrigerated. Can I take Vitality Health CBD with other medications? To be safe, please always consult your doctor before using Vitality Health CBD products in conjunction with other medications. CBD has no harmful side effects when used on its own but may interact with some prescribed medications. It can have a cumulative effect with some sedatives and can inhibit enzymes required for metabolizing certain pharmaceutical drugs (like hepatic drugs) and botanical medicines. No, you do not need a prescription to order or use Vitality Health CBD products. Will CBD work for my condition? We are prohibited to discuss with you any disease or condition in conjunction with our products. We are not physicians and cannot make claims that would prevent, diagnose, treat or cure any disease or condition you may have. Please always consult and inform your doctor before deciding to use CBD. Please read the list of ingredients on the individual product page for the Vitality Health CBD product you are considering in order to determine whether it contains allergens for you. Vitality Health CBD products do not contain ingredients that commonly cause sensitivities or allergic reactions like wheat, gluten, eggs, sugar, alcohol, preservatives or dairy so are highly unlikely to cause a reaction. Are your products organic and vegan friendly? Yes. Vitality Health CBD uses organically grown hemp in all products although domestic hemp production is not organically certifiable to date. All carrier oils and flavors are also organic and vegan. How do you ensure the safety and efficacy of your CBD products? Vitality Health CBD undertakes multiple levels of third party testing to ensure safety and potency of our products and ingredients. Furthermore, the testing reports (COAs) are transparent and available for public review upon request. Are there heavy metals, pesticides or solvents in your CBD products? No, our rigorous testing standards ensure that these toxins are not at all present in our products. Where do you source your CBD? All of our CBD is derived from organically grown, non-GMO, industrial hemp sourced from within Canada. What other ingredients are in your CBD products? Why are there variances in color between bottles? The natural oxidation of the MCT carrier oil may cause it to turn purple or pink. This is normal and will not alter the effectiveness of the CBD molecules. We accept all major credit cards for retail orders and e-transfers for wholesale orders. Yes, please contact info@vitalityhealthcbd.com for more information. Where in the world can I order from? You may order Vitality Health CBD products from anywhere online, although we can only ship to Canada and countries that currently legally allow CBD consumption. Laws are always changing. Please check with your local authorities to confirm the legality of consuming hemp CBD products before placing an order. We ship to Canada and anywhere you can legally accept delivery of CBD products. How will I know if my order is successfully placed? Once you have placed your order through our website, you will receive immediate confirmation and an order number via the email address you provided to us upon ordering. If not received please double-check your spam or junk folders. If you don’t find our confirmation email within 24 hours please email info@vitalityhealthcbd.com for confirmation information. When will my credit card be charged when ordering online? You will be charged immediately after security checks from your bank and Vitality Health CBD are authorized. Will I receive a notification when my order has been shipped? Yes. You will receive a tracking number via email when your package has been shipped. If you placed an order and didn’t receive confirmation or a tracking number, please contact us at info@vitalityhealthcbd.com. How soon will my package ship and how long does it take to receive my purchased item(s)? Please allow at least 48 hours for your order to process and ship. Once shipped, Canada Post states 2-10 business days for delivery depending on your shipping address. You may track your shipment on http://canadapost.ca/. How do you package and ship your products? Vitality Health CBD products are packed in boxes with protective foam ships to prevent breakage or damage. They are shipped using Canada Post. Orders that have not been shipped may be cancelled and refunded. Please click here to review our return policy. What do I do if there is an issue with my order? Please contact info@vitalityhealthcbd.com to report and resolve any issue with your order. Can I purchase your CBD products in a store? Yes, please contact us at info@vitalityhealthcbd.com with your address and we will send you current retail locations near you. Can I purchase wholesale or in bulk? Yes, please submit your information to receive wholesale and bulk account information by clicking here. To purchase CBD isolate (ISO) for use in your own products, you may order here. Yes, please submit your information to receive affiliate account information by clicking here.